Hello! Man where does the time go?? I can't believe it's been almost 2 weeks since my last post! Today's card uses the Limelight sketch, we were to try an incorporate our favorite STRING!! For me that would be the May Arts Burlap string, Love that stuff! Thanks for stopping by! Those raspberries look good enough to pick and eat! Great card, Janice! super fabulous. 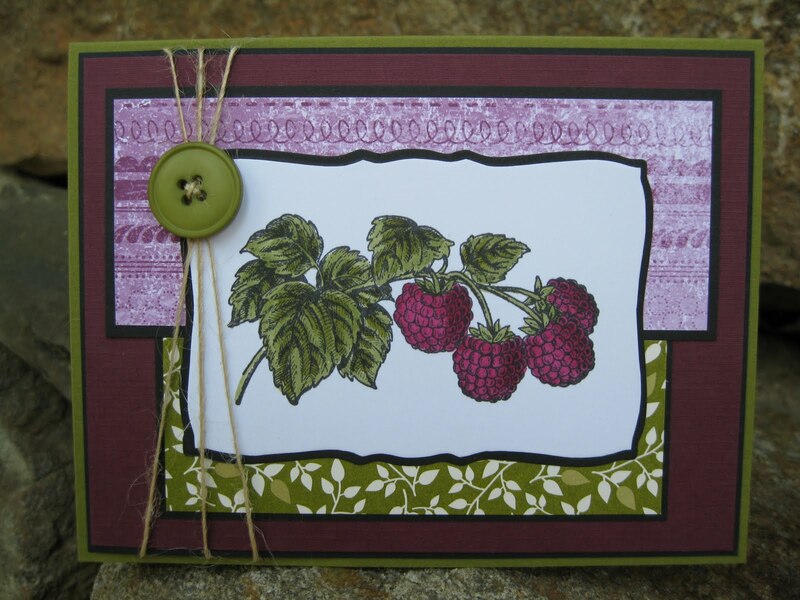 love the colors and that label is just perfect for the raspberries. Wow, what a lovely card!! !